When I was eleven, my father drove away with my mother and one small suitcase. 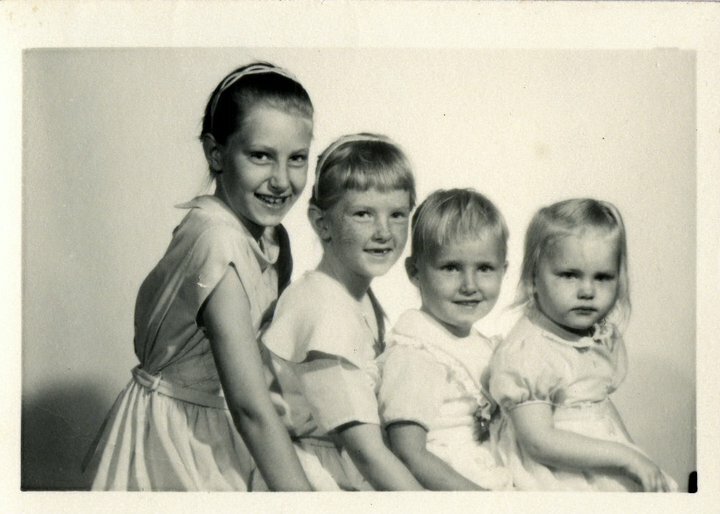 On his return, he said, “Girls, your mother has moved to California.” My three sisters and I thought we’d never see her again. The loss of my mother at such a young age left me feeling abandoned, rejected and unwanted. Sometimes I’m still that scared little girl, and I see emotional insecurity in my sister’s lives as well. We each cling to what we have—hoarding the good feelings, loving our children in way’s we weren’t, yet empathizing with people in need who cross our paths. We open our hearts, and sometimes our homes, to strangers and friends alike. Jesus came to us 2,000 years ago as the Christ-child. Though born in a stable, and into a poor carpenters’ family, He was gifted with gold, Frankincense and Myrrh. The Wise Men set a precedent for us to follow. We celebrate by giving gifts to each other, but it isn’t our birthday. Each year at Christmas, Earl’s father asked us to donate to a local charity in his name in lieu of physical gifts. He set a precedent in our family. We, of course have our favorites, but any gift given in Christian love is a gift worth giving. If you haven’t finished your Christmas shopping, or even if you have, I ask you to pray and consider giving a gift of love to someone in need this Christmas season. Jesus said, “Truly I tell you, whatever you did for one of the least of these brothers and sisters of mine, you did for me.” (Matthew 25:40 NIV).